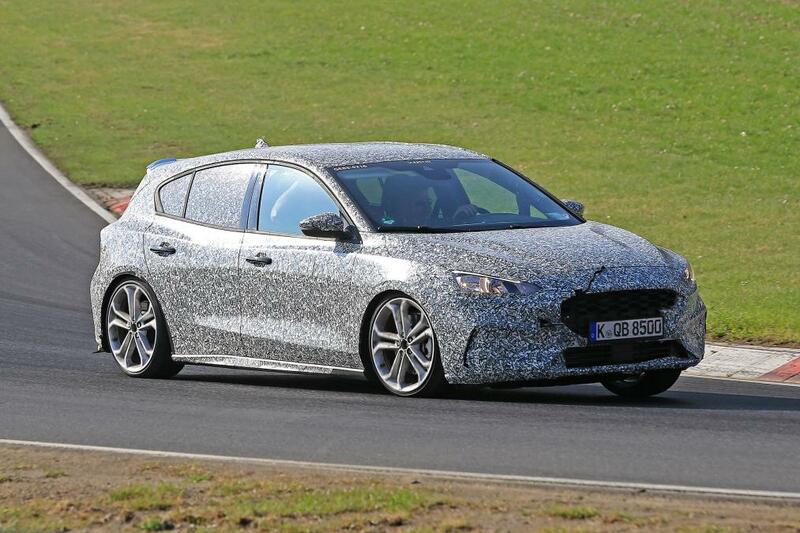 The new Ford Focus is taking over everything in Europe. It’s new. It’s a fan favorite. Everyone’s clamoring for a piece of the hot action. It’s set to be Britain’s best-selling cars, which is a lot to say considering the massive options that the British have. Ford’s global divisions got together and discussed what they expect from the new Ford Focus. From there, the designers and engineers worked to come up with the C2 platform. It is roomier and stronger than the old one, but it is notably a lot lighter. Thanks to the stretched wheelbase, there is more rear legroom and a space under the floor of the boot to store the internal roller-blind. Essentially, the front seats have been redesigned to give rear dwellers more space for their feet. They can also see better outside the windows because these have been stretched rearward into the pillar. The new Ford Focus is just 18mm longer despite all this new-found space. The new dashboard has a cleaner and more streamlined look. It was moved forward to give better space for the driver and the passenger, though it is still easily reachable and accessible. The touchscreen, all of its eight inches, is mounted high and runs Ford’s Sync 3 system. If that’s not your cup of tea, you can mirror your phone through CarPlay. There’s a B&O Play music system and a wireless charging option, too. 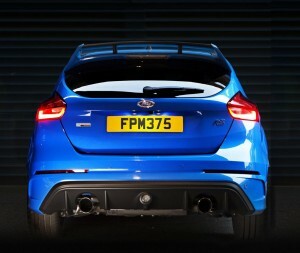 Like the Astra, the new Focus has an embedded SIM card, which allows it to receive high-definition live traffic updates. It can run several navigation and shopping apps, making it easier for you to arrive at your destination. This same data connection can also act as a hotspot. From your phone, you can manage the car and do several things like lock and unlock. The new Ford Focus will likely have a 1.0-liter Ecoboost, which will come in options of 85, 100, and 125bhp. It will have just 108g/km CO2 even in the strict new WLTP test. The bigger petrol engine, a 1.5-liter, will have either a 150 or 182bhp. For economic use, the three-cylinder machine can shut down one of their cylinders to eliminate the losses of pumping air. The date is April 10. Mark that on your calendar. The event? 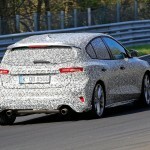 Ford is revealing the next-generation Ford Focus, and the details are quite stunning. 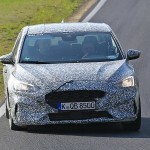 Ahead of the April 10 reveal, Ford started releasing teaser videos about what to expect on the all-new Focus. The first teaser video details the intricate designs on the car such as the jewel headlights and sculpted body panels. There might also be a ST-Line appearance package, based on the sporty wheels that are equipped with Michelin rubber. 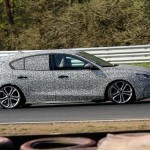 The video reveals a hatchback, but we do know that Ford is also releasing a sedan and wagon variants of the next-generation Focus. As you well know, prototypes for all three variants were spotted in different instances last year. 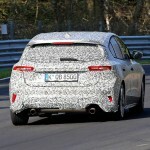 In February, the undisguised hatch version was also photographed during what looked like the official photoshoot for the model. This model represents the fourth generation under the Focus name. Expectations are it will be on sale starting this fall as a 2019 model, so the April 10 reveal is just about right. 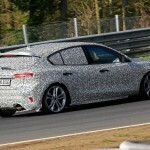 Unlike other times, though, this fourth-generation Focus will be sourced from a plant in China. These are the models that are going to be sold in the United States. 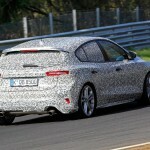 The interior will be roomier than the present-generation Focus and it would have sharper dynamics, too, according to reports. 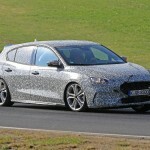 It’s not clear yet what drivetrains Ford plans for the new Focus but all units will most likely be using a turbocharged engine. There will be an automatic and manual transmission, and a plug-in hybrid will also be available. We’re not sure yet if there will be a Focus Electric like before. 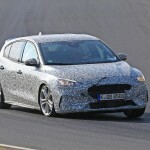 There would be a Focus ST hatch that will be offered with a 2.0-liter turbocharged inline-4 that produces 250 horsepower. Focus is currently competing with the Chevrolet Cruze, Honda Civic, Mazda 3, Subaru Impreza, Toyota Corolla and Volkswagen Golf. Tuning company Mountune took it upon themselves to heap the Ford Focus RS with more power than ever before. 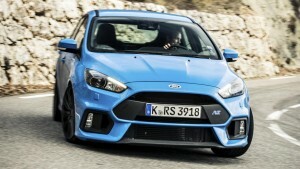 Though its 345bhp does not exactly equate to being under-endowed, the guys over at Mountune thought the Focus RS would look better with 370bhp. It will also drop to going 0-62mph in just 4.5 seconds. The new power upgrade package for the 2.3-liter EcoBoost engine was developed together with Ford’s Performance division. 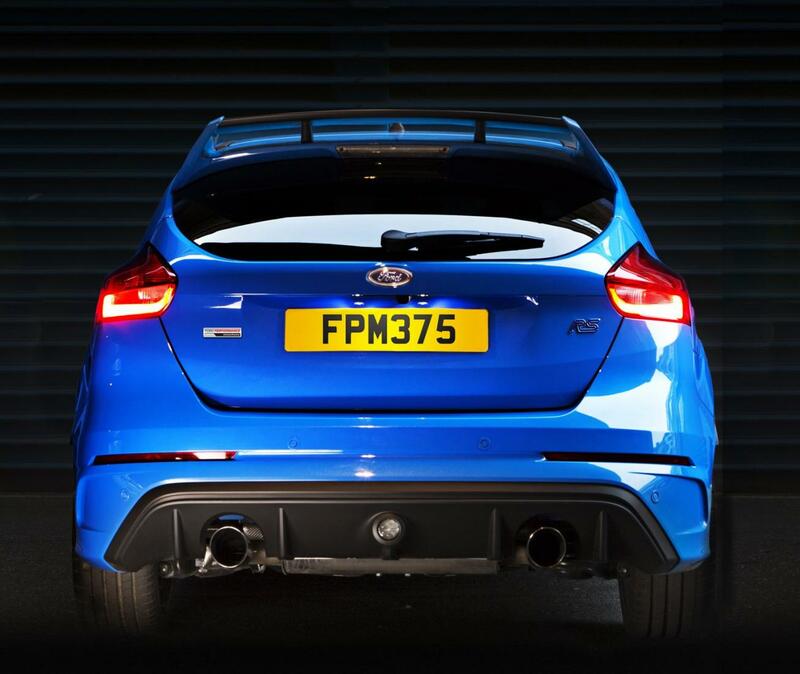 While it raises horsepower production to 370bhp, it also boosted peak torque to 376 lb. ft., which is a 30 lb. ft. increase over the standard car. The tuned Ford’s ability to go 0 to 62 mph in just 4.5 seconds is largely thanks to the Focus RS’ four-wheel drive system. That is a 0.2-second improvement, so it now stands only 0.2 seconds below of what the Audi RS3 can accomplish. The Audi RS3 has a fancy twin-clutch auto while the Focus RS stays with the six-speed manual. The Mountune upgrade for the Ford Focus comes with an ECU flash too, as well as an uprated turbo recirculation valve and Mountune’s RS induction kit with an alloy crossover duct and high quality silicone hoses. These features improve engine breathing by 11 percent as compared to factory fit pipes. In terms of styling and design, you can expect the Mountune badge, warning other drivers that your car can suddenly and violently accelerate. If you want the kit, any Mountune-approved Ford dealer can install it in your car in just 90 minutes. It costs approximately $1,174, and won’t invalidate your Ford manufacturer’s warranty. Aside from that, you also have the option of a 19-inch OZ Leggera HLT wheels that are lighter and even half an inch wider than the standard rims. Then, there’s also the Quaife differential. You can get the OZ Leggera HLT wheels for $496 per corner while the Quaife is for $948. 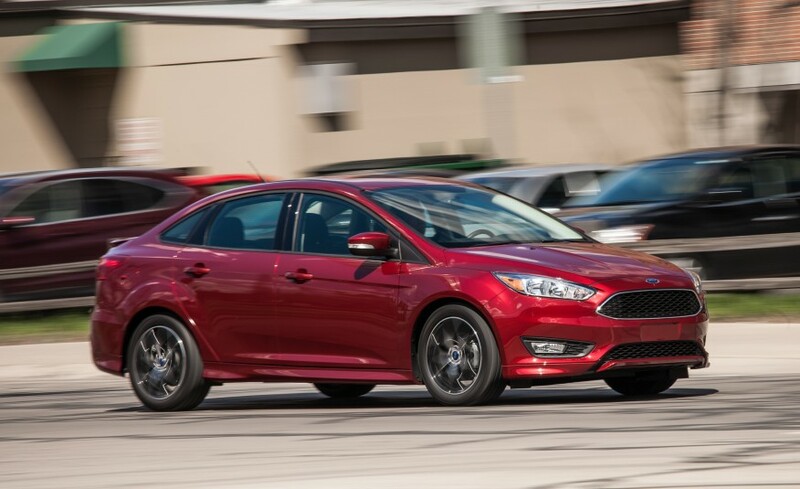 The Ford Focus 1.0L Ecoboost was previously just available in manual gearbox. Although this would be the best for the car, that’s not exactly a good strategy in the US. Therefore, Ford decided to come up with the automatic transmission variant of the car. This means the Ecoboost engine is now equipped with a six-speed automatic transmission both for the Focus 1.0L sedan and hatchback models. According to a report, the automatic transmission version has a turbocharged three cylinder as compared to the 2.0-liter four-cylinder found on the six-speed dual-clutch on manual Ford Focus models. Having an automatic transmission means the Focus Ecoboost would lose some of the fuel economy of the smaller engine on the manual gearbox. The automatic transmission version gets 28/40/32 mpg (city/highway/combined) compared to the manual’s 30/42/35 mpg. That’s a bit higher than 2.0-liter automatic, which is rated at 27/40/31 mpg (city/highway/combined). It doesn’t matter what the transmission is, but the 1.0 liter engine powers up 123 hp and 125 lb-ft of torque. The manual Focus 1.0L sedan originally introduced had a 0-to-60 mph time of 9.4 seconds, two seconds slower than the 2.0L Focus. The 1.0L engine, which is available for the SE trim level, costs $495 extra on its own, but the automatic transmission would add more on top of that. The automatic transmission adds $1,095 to the cost, but also requires $895 for the SE Ecoboost Appearance Package. The package includes 16-inch wheels, rear disc brakes, and some LED lighting accents. 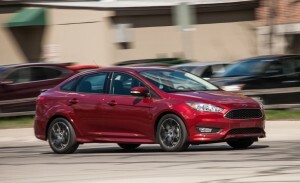 In total, the Focus 1.0L Ecoboost will be priced at $21,380 for the sedan or $21,880 for the hatchback. 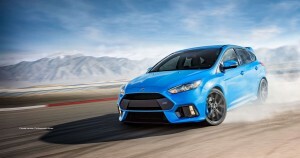 The initial preference of Focus fans would be the manual transmission still because of its fuel economy, of course. But if you can’t stomach a manual transmission because of having to use the clutch, then you’ll appreciate the new powertrain option of an automatic gearbox.